I’ve always loved reading, and 2017 (or at least, the first three months of it) has been the year of revisiting old best friends and finding a couple of new favourites to add to my book shelves. I’ve gathered all the stories I love the most in this post and I’m not the most neutral person, so you are hereby warned; this will be very enthusiastic and maybe a tiny bit soppy. I’ve discovered that a lot of my favourite books happen to be children’s books. There is something about the stories in them; how the characters always have so many layers, how the challenges they face seem so devastatingly big for someone so small, and how they tend come out of anything, victorious in the end. 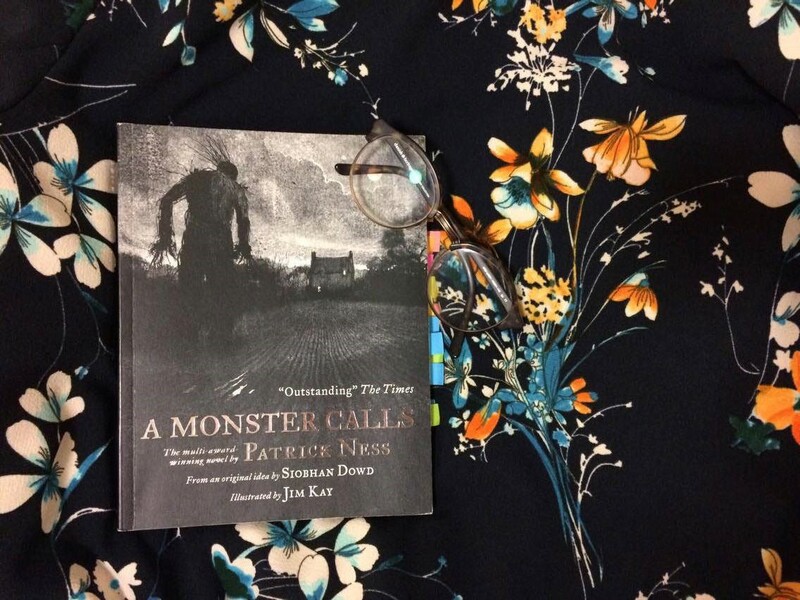 I read Patrick Ness’s A Monster Calls for an assignment, and was completely dumbfounded by how beautiful it was. The book is about Conor, who, every night since his mum got ill, dreams the same dream. His mum is diagnosed with cancer, and even though she’s promised him that she’ll be okay, none of the treatments seem to work. One night however, it is not the nightmare that visits Conor, but the yew tree from the hilltop; an ancient, elemental monster. It wants to tell Conor stories, but reminds him that he himself has to tell the most important story of them all; the truth. I read this book in four hours, and I’m pretty sure I cried for three of them. Told in a child’s sincere voice, this is an extraordinary tale about loss, hope and the courage you have to find to stay alive, when all you want to do is disappear. 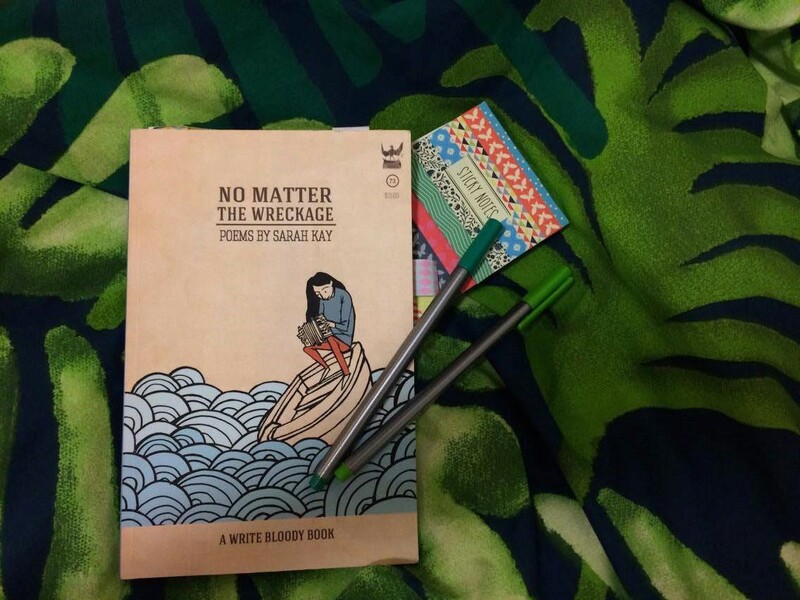 When Lin-Manuel Miranda says you should check out Sarah Kay’s poetry, you do. I discovered her poem “Private parts” on Youtube in 2013 and since then I’ve been completely head over heels for her words. No Matter the Wreckage is a collection inspired by people and love and the little things in life. It’s about Poppy’s lavender nightgown, socks and day dreams littering the carpet and reading hands to tell people’s pasts. 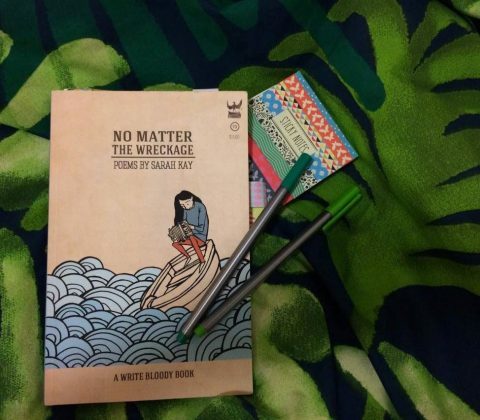 As a poet, Kay paints pictures of the love affair between the toothbrush and the bicycle tyre, and as a reader you count your lucky stars that you get to enjoy the ride. With colloquial language, humour and emotions this is definitely a great book to pick up both for seasoned poetry readers and for those who are new to poetry. 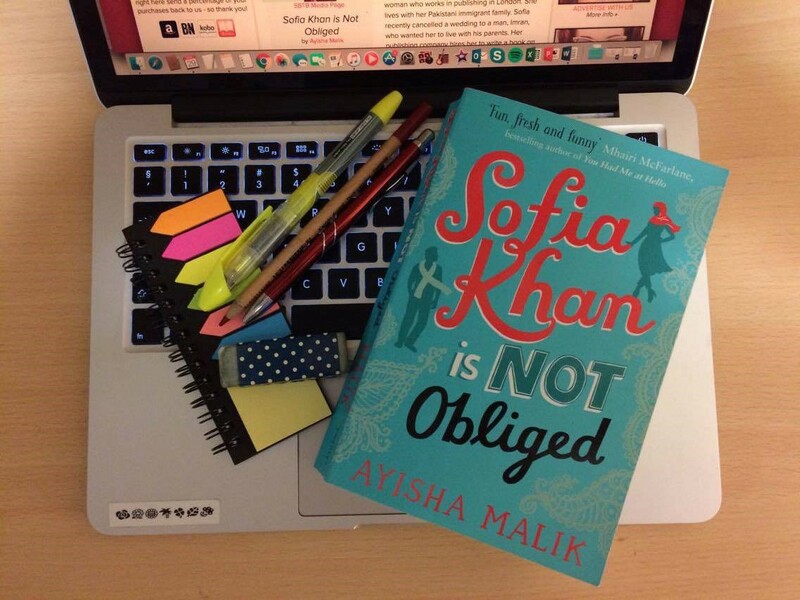 “It’s like the Muslim Bridget Jones,” Ayisha Malik said, and I was sold. Without knowing anything about either the author or the book, I went to Malik’s author talk here at the uni, and I couldn’t leave the room without purchasing a copy. The story follows Sofia Kahn on her trials and tribulations as she tries to write a Muslim dating book, help plan her sister’s wedding and find her own true love, all at the same time. The book handles current issues in our society, like prejudice against Islam, in a clever and thoughtful way and Malik effortlessly juggles a huge cast of characters, all with their own distinct voices and personalities. Sofia is a wonderful character; witty, sarcastic, and headstrong when need be, but also worried, scared and at times, completely hopeless. She feels so much like a real person that it’s easy to forget that you’re reading a piece of fiction. The quirky characters and the smart dialogue made for many hours of interesting reading, and it’s definitely worth considering if you’re looking for something both thought provoking and funny. What is a person, if they’re not defined by gender, age, relationships, family or anything we normally know characters by? How do you write a character that lives everyday in a new body? 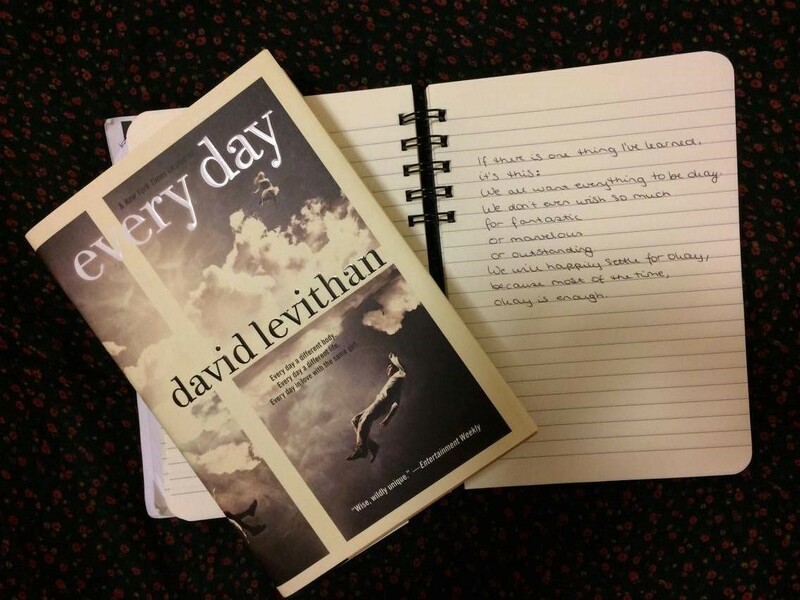 David Levithan explores exactly that in his book Every day, and personally, I think it is a great success. This book is one of my all time favourites, and the author has created a piece of work that stays with you for a very long time after you read it. Every day, A wakes up in a new body. At midnight they’re ripped from wherever they are, and placed in a new person, and this is how it’s always been. A has learnt the rules; never get attached to anyone, don’t make yourself too noticeable, don’t interfere and remember: this is not your life. This has all been easy, up until A wakes up in Justin’s body, and falls in love with his girlfriend Rhiannon. It’s a story about finding yourself and looking for happiness in the most unlikely places. You know how we all have that book that we can’t stop talking about? That we’d like to go from door to door to make people read? This is mine. I read this for the first time in 2012, and I’ve reread it again and again. Whenever I get the chance, I tell people to read it and I throw it at them. And out of all the people I’ve given it too, I’ve yet to find a single person that didn’t enjoy it. Last but not least, another children’s book. I brought Ronia, the Robber’s Daughter with me to uni, and on days when I feel homesick, this acts as my safety blanket – the story that takes me home. 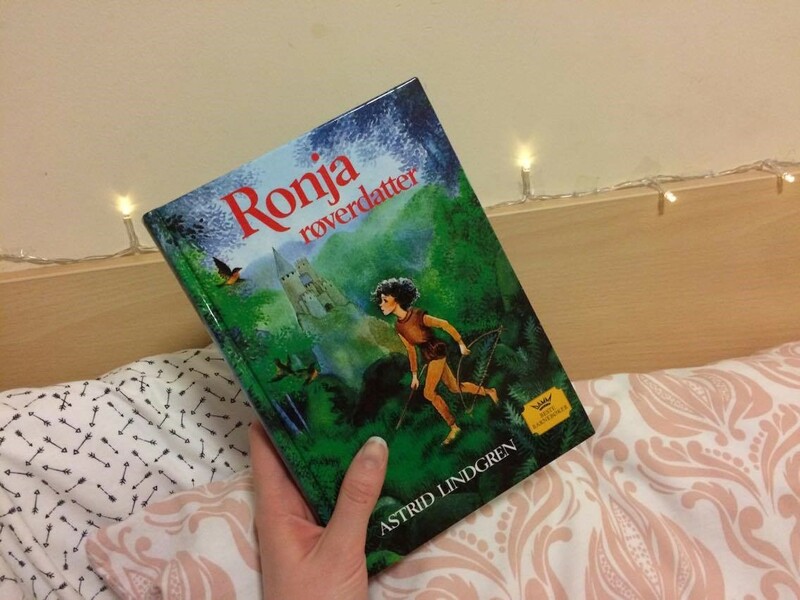 Swedish author Astrid Lindgren is not afraid of tackling heavy themes such as death, illness, loneliness and grief, but her characters, settings and scenes are also written with such a childlike glee that they will make you cry with sheer happiness. Ronia lives in a castle on top of a mountain, with her father’s robber clan. On the day she was born, a lightning bolt split their mountain in half, and every day since, Ronia has grown to be as wild as a thunderstorm. The story shows her becoming friends with Birk, the son of the chief of a rivalling robber clan, and together they try and teach their families that old feuds are best left forgotten and that one is always stronger when working together. The book is set in a mythical, medieval world, where the forest is a wonderful place full of rivers and music and wild horses, but that also harbours threats such as the gray dwarfs that will lure you into the fog and the wild harpies who want to claw you until you bleed. It’s a tale of courage and acceptance, family and love, and a book not only for children, but for anyone who has once been a child too. So, those are some of the books I’ve read this year; here’s to hoping that 2017 truly will be the “book year” I so desperately want it to be. I hope you’ve read some good stories this year, and that the rest of the year will bring you all the best reading experiences! Andrea is a second year Creative Writing Student.